From Co. Monaghan and now based in Dublin, Thomas Johnston’s work with children and young people is concerned with performance, practice, and research in those spaces between Irish traditional music, music education, community music, early years music, online music teaching and learning, and performing arts for children and young people. He is currently Research Fellow for Developing Diversity in Music Education in Ireland, a two-year research partnership between Music Generation and St. Patrick’s College Drumcondra. This research investigates the diversities within Music Generation’s infrastructure (from an individual, local, and national perspective), which support and sustain the potential for the transformative experience of children and young people as they engage in music-making across Music Generation’s programmes. His previous PhD research, carried out at the Irish World Academy of Music and Dance at the University of Limerick, conceptualised a theory of educative experience for Irish traditional music in post primary music education in Ireland. 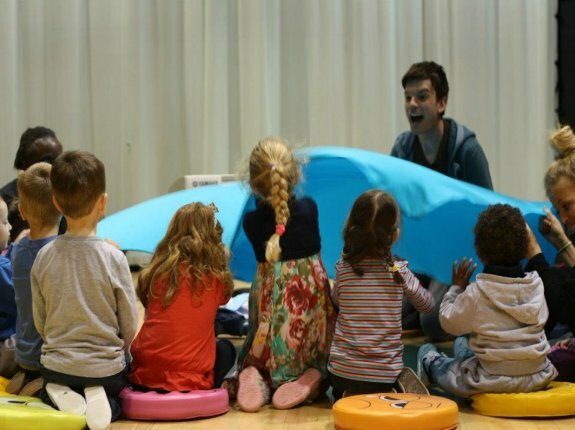 In recent years, Thomas has gained experience as a musician (uilleann pipes, whistles, song) in the area of music for early years - for example, as a workshop facilitator, co-devising, delivering, and evaluating Junior Music Hub, a longitudinal preschool music programme in partnership with Learning Hub Limerick, and delivering Tiny Voices, an early years music pilot in partnership with Common Ground, Early Childhood Ireland, and The Base in Ballyfermot. Other related work includes music workshops at The Ark (‘Tiny Traddies’, ‘Circus Sounds’, and ‘Small Sounds’) and facilitating music workshops for various early childhood care and education providers. He is currently devising ‘The Quiet Tree and the Creatures of Whistlebery Forest’, a participatory performance experience for young audiences which will be presented at the Opening Doors Wales International Festival of Performing Arts for Young Audiences in April 2014.